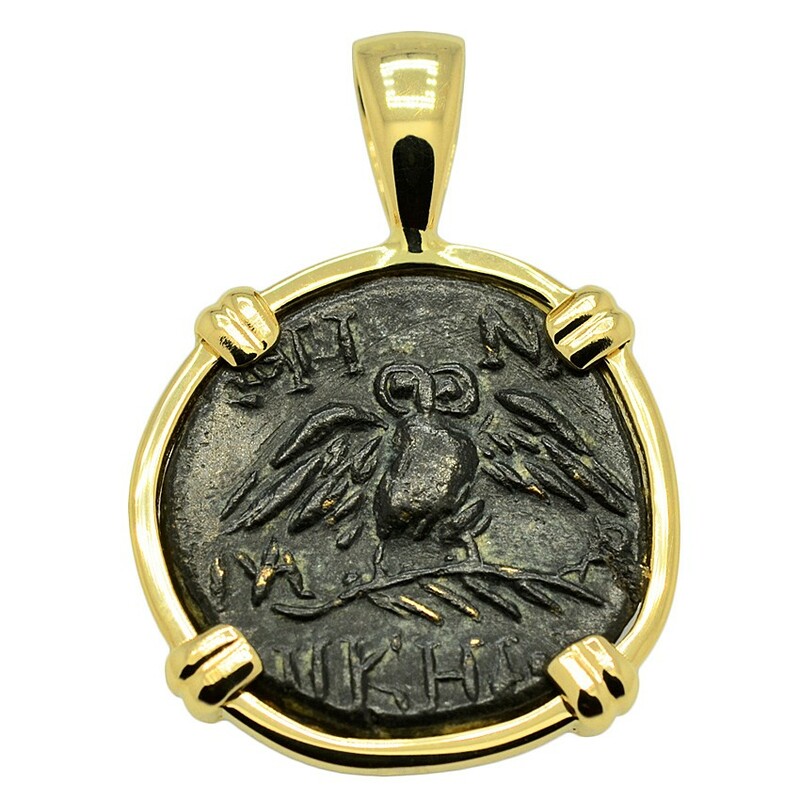 SOLD Owl and Athena Pendant; Please Explore Our Greek Pendants For Similar Items. 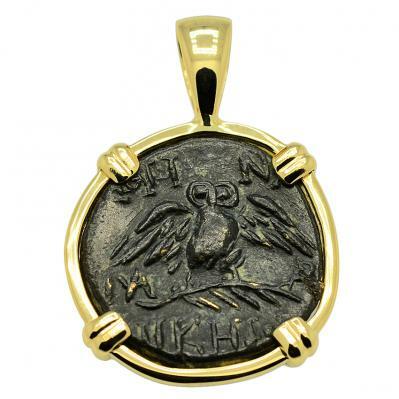 This coin was minted in the Hellenistic city of Pergamon, which was located in modern-day Turkey. This great city became the capital of the Kingdom of Pergamon under the Attalid dynasty, 281–133 BC. The Attalids were loyal supporters of Rome and were rewarded with all the former Seleucid domains in Asia Minor. They ruled with intelligence and generosity and the Greek cities in this Kingdom maintained a level of independence. Pergamon became one of the great cultural centers of the Greek world, home to the Temple of Dionysus and the Acropolis of Pergamon, which was remodeled after the Acropolis in Athens. The city’s theater had a seating capacity of 10,000, with the steepest seating of any known theater in the ancient world. 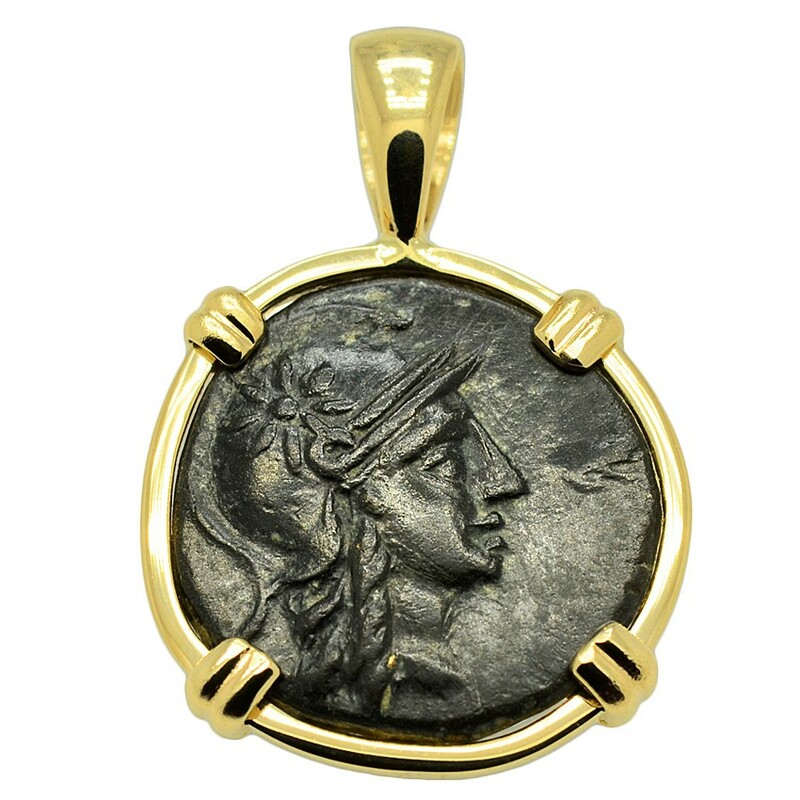 Athena is featured on this coin wearing a crested attic helmet decorated with a star. She was the Greek Goddess of wisdom, peace, warfare, strategy and reason. Among her gifts to man were the inventions of the plow and the flute, the arts of taming animals, building ships along with making shoes. An armed warrior Goddess, Athena appears in Greek mythology as a helper of many heroes, including Odysseus, Jason and Hercules. 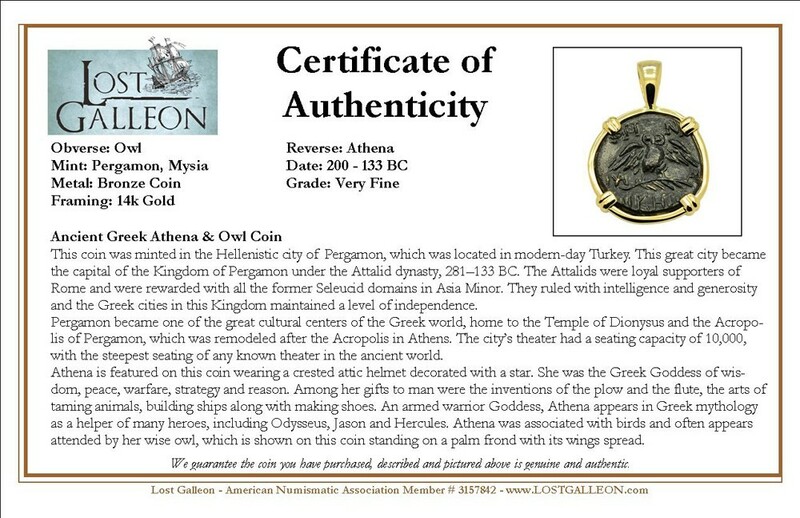 Athena was associated with birds and often appears attended by her wise owl, which is shown on this coin standing on a palm frond with its wings spread.